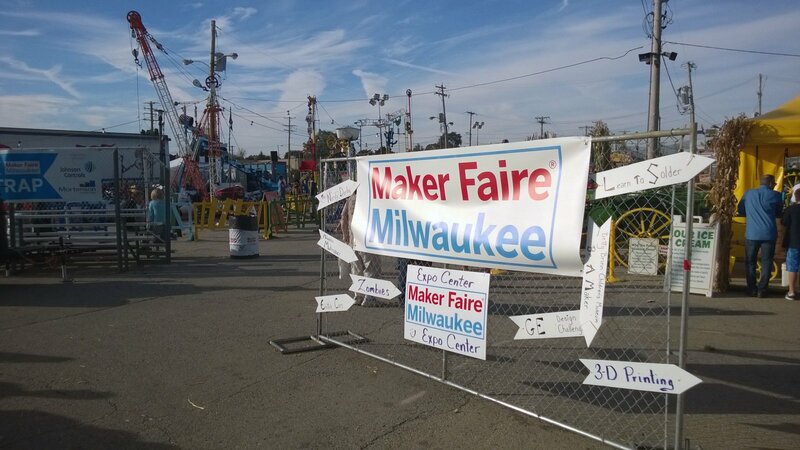 After all of the numbers were added, organizers said the first-ever Maker Faire® Milwaukee on Sept. 27 and 28 exceeded all expectations. After all of the numbers were added, organizers said the first-ever Maker Faire® Milwaukee on Sept. 27 and 28 exceeded all expectations. Back to the full release. Entrance sign, with the Life Size Game of Mousetrap in the background. Entrance sign, with the Life Size Game of Mousetrap in the background. Photo taken September 27th, 2014 by Garrick Jannene.